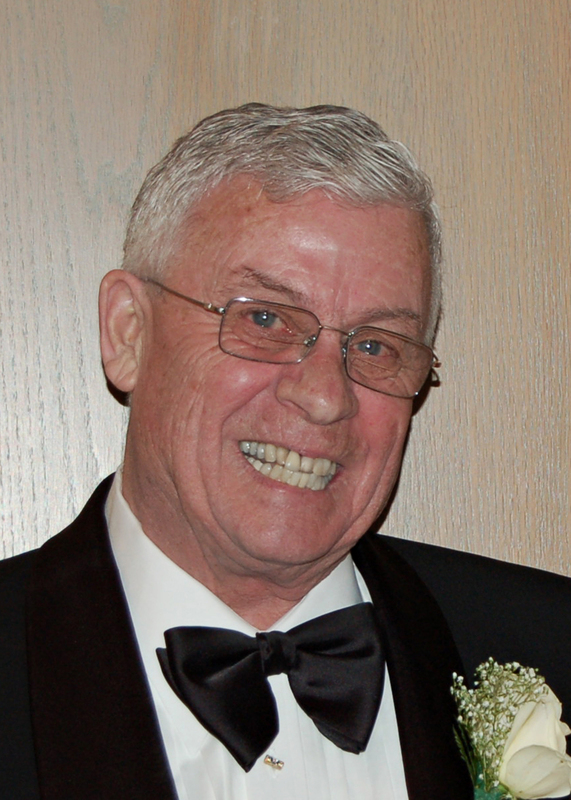 It is with sadness that our family announces that Terry died peacefully, on Sunday, August 5, 2018 at the St. Boniface General Hospital, at the age of 85. Terry was predeceased by his wife Reta, and is survived by their sons Lance (Lynne) and their children Jack, Laura, Emily and Miles (Valerie) and their children Terry, Brock, and Pierce. Dad was fortunate to have found love a second time. Unfortunately, he was predeceased by his wife Margaret. He is survived by his stepdaughters Shelley Smith and Kim Still (Steve) and their children Dakota and MacKenzie. Terry was predeceased by his parents, Jack and Ruth Barber. He is survived by his sister Lesley Rempel (George) and their children and grandchildren. Dad was born and raised in Winnipeg. He was proud to call Winnipeg his home. His life passions were his family, his business, and the family cottage at Kendall Inlet, Lake of the Woods. As a young boy Dad grew up through the Great Depression and the Second World War. He learned to work hard at an early age; a trait that would stay with him throughout his life. In 1955 Dad joined the family business, Barber-Lumsden Limited. He taught us through his example that you should not only be a good provider for your family but that you should give back to your profession and your community. Terry was a Fellow (FRI) of the Real Estate Institute of Canada (REIC) and he also served as a Governor of REIC. He also attained the prestigious status of the CMR designation from REIC. Terry served as the President of the Winnipeg Real Estate Board (WREB) and also served as the President of the Manitoba Real Estate Association (MREA). He was an Honourary Life Member of both the WREB and the MREA. Terry was also an Accredited Appraiser Canadian Institute (AACI) with the Appraisal Institute of Canada. Dad embodied the example of hard work. He enjoyed working for his firm and he loved his “work daughters” Julie, Vera, and Fran. They spent decades working together and they are truly considered a part of the Barber “Family”. Terry believed that it was important to give back to his community. Aside from his volunteer work on his industry boards, Terry made time to serve on several government (Tory) appointed boards. He also took great pleasure serving as a Director of the Winnipeg Football Club – Blue Bombers. Dad volunteered into his eighties, serving on the Building Committee for St. John’s Anglican Cathedral. Dad was a Mason and was a member and Past President of the Khartum Shriners Drum and Bugle Corp.
Terry was honest and loyal to his clients and they returned his favour with their own loyalty. The majority of his clients did business with him for decades. As for recreation, in his middle age, Dad could be seen out on the curling rink at the Winter Club. But as sports go, his love was for the squash court, playing doubles with his closest friends… then it was up to the Sportsmen’s Lounge for a smoke and a beer to cool down. Dad’s real love of time was the time that he spent “at the lake”. His grandfather had built a cottage at Minaki just after the railway went through. Terry spent his summers as a boy at Minaki with his grandparents. Shortly after he and Mom were married he built our family’s first cottage at the southwest end of Gun Lake – Minaki. In 1966 Dad and Mom sold the cottage at Minaki and moved to the present day family cottage at Kendall Inlet on Lake of the Woods. For the next five decades plus, Dad and our family would enjoy the beauty of the “Big Lake”. Our Dad was a Gentleman. Dad taught us many things as we grew up, eventually taking our own places in the world. As boys Dad taught us good manners – to hold a door for a Lady, to say “Please” and “Thank You”; to work hard – to set goals and to strive to achieve them. Hard work was the nourishment from which success grew. In his later years, Dad sold Barber-Lumsden and then retired in 2006 after a 50 year career in real estate and insurance. Terry and Margaret married in 2007 and it is then that they both embarked on several trips to Europe and the Middle East. Their life journey together was far too short. In the quiet years after Margaret’s passing, Coco, his faithful yellow Lab, filled Dad’s days with love and activity until her own untimely passing. Thank you Coco. After a long battle Dad succumbed to cancer. He was fortunate to have been able to spend time with all of his family before he passed. Our family is ever grateful to the nurses and doctors of the Palliative Care Unit, St. Boniface Hospital for making Dad’s final weeks and days comfortable for him. We also owe our gratitude to his family physician, Dr. Mark Boroditsky for his superb care and compassion. In the end Dad – Terry is dearly loved and deeply missed. He was a Dad when you needed a Dad. He was a Father when you needed a Father. He was a Friend when you needed a Friend. Gentleman, entrepreneur, business leader, volunteer, role model, mentor. 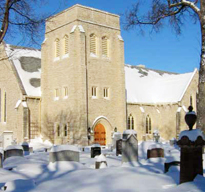 Terry’s Memorial Service will be held on Thursday, August 30 at 10:00 AM at St. John’s Anglican Cathedral, 135 Anderson Avenue, Winnipeg, with The Very Reverend Paul N. Johnson presiding. A Masonic Memorial Service will be included. All Brethren may participate and are encouraged to wear their regalia. In lieu of flowers, please consider a donation to Cancer Care Manitoba Foundation, 1160-675 McDermot Avenue, Winnipeg, MB, R3E 0V9 or The Transportation Fund c/o Khartum Shriners, 1155 Wilkes Avenue, Winnipeg, MB, R3P 1B9.